Outside of urban centers like Kraków and Warsaw lies a land rich with thick forests, peaceful lakes and green hills practically begging to be explored. 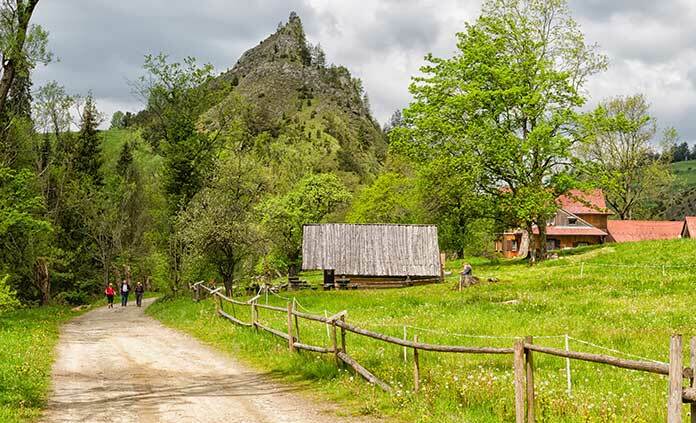 On foot and by bike, dive into the pristine wilds, all the while enjoying everything from medieval castles to brick fortresses to charming wood churches nestled in the Carpathian hills. With Backroads, you’ll get an intimate introduction to Poland, self-propelling yourself through a land whose natural features are as heartbreakingly beautiful as their scars from World War II are heartbreaking. Feel the power and friendliness of this resilient nation in a trip you won’t soon forget.